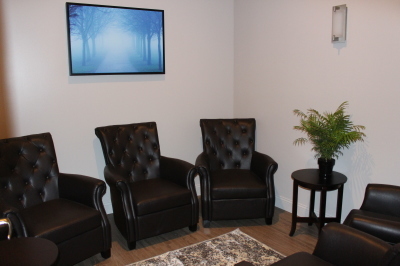 At Revive Sauna Studio, it is your time to relieve stress and pain, and recover. Focus only on breathing and relaxing. Enjoy your sauna sessions in private rooms with aromatherapy, relaxation music, bamboo carbon towels, and cold compresses. Our relaxation area has complimentary water, fruit-infused water, organic herbal teas, fresh fruit, music and aromatherapy. Hydrate with at least 10 ounces of water to prepare your body for an increase in core temperature. Arrive early for your apointment and begin to relax before your session. Your first visit will include discussing infrared heat, answering any questions, and signing a release form to use the saunas. If you have any medical conditions that would lead you to be cautious about using the saunas, please consult with a physician prior to use. Make sure you are comfortable. You can wear loose clothes, a bathing suit, or nothing at all. Most guests find it most comfortable to wear nothing. The Solo units have bamboo carbon pads to lay on and the bamboo carbon towels provided can be used in the the Basswood units. In your private room, you will have individual control over the lighting and volume of the studio relaxation music. Each room is furnished with aromatherapy, our bamboo carbon towels, cold compresses, and hooks and a table for your personal belongings. The saunas will already be set. Please do not adjust the controls. Let us know and we'll happily make any adjustments. If you become too hot or lightheaded, you can end the session at ay time. Each person's body and experience are different. It will likely be several minutes before you start to perspire. With consistent use, your body will also adapt and the detoxifying sweat may vary in your sessions. Dry off with our bamboo carbon towels. We do not have showers as it is recomended not to shower immediately after a session. You won't continue to perspire, but your body can continue to release toxins for up to an hour. Rehydrate! Drink at least 24 ounces of water or electrolyte. After your session, please be prompt in leaving the room to allow us to prepare the room for the next guest. 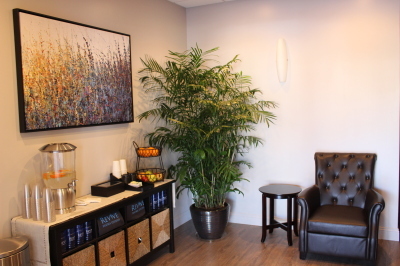 However, we invite you to continue to unwind in our relaxation area with music, aromatherapy, complimentary water, fruit-infused water, organic herbal tea, and fresh fruit. Please arrive early, especially for your first visit. Sessions must begin within 10 minutes of the scheduled time. Please set your phone on silent and refrain from taking calls while in the studio. Be conscious of others when speaking using "spa-like" tones, especially if using the Basswood with a friend. If you choose to listen to your own music rather than the relaxation music, please use headphones. Please do not change the controls on the units as we want to make sure they work properly for your session. No drinks in the saunas during your session. Enjoy our complimentary beverages to hydrate before and after. To prevent damage, please do not wear shoes in the saunas. Please only use Pure Sweat as an amplifier for your session. No other oils, creams, spray tans, or products should be used in conjuction with your infrared sauna session. Appointments are scheduled at the top of each hour. At the end of your session, please be prompt in getting dressed to allow preparation for the next guest.